Tables full of turkey, stuffing, and cranberry relish are slowly fading in our rear view mirrors and I truly hope you all had a fabulous Thanksgiving! I am thrilled, however, that the Christmas season has officially begun! Our house is decorated, our kids have started on our favorite Christmas Book Countdown, and my brain is working overtime planning holiday baking and festive gift ideas. It’s the gift ideas that we’ll be chatting about today, my friends. 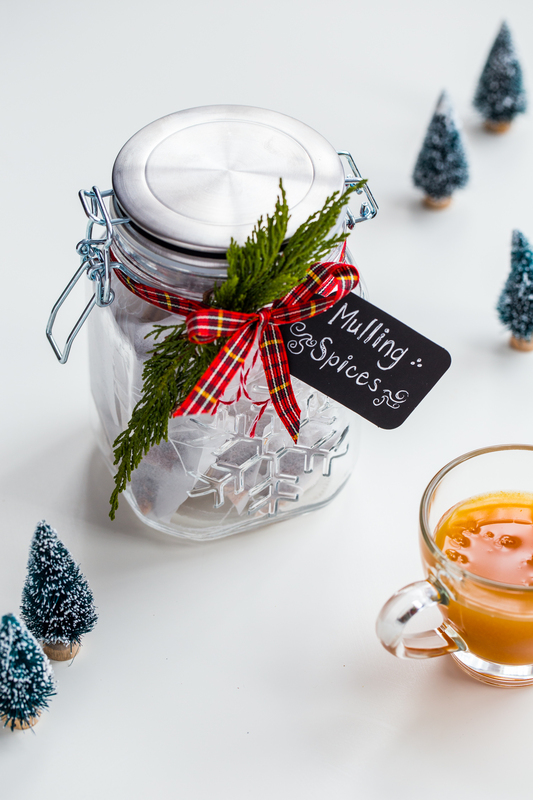 Today, we’re making some very simple but amazingly scented Homemade Mulling Spices in sachets! Whenever I heat up a pot of apple cider, I always throw in a cinnamon stick, some cloves, and a couple of star anise if I have them on hand. 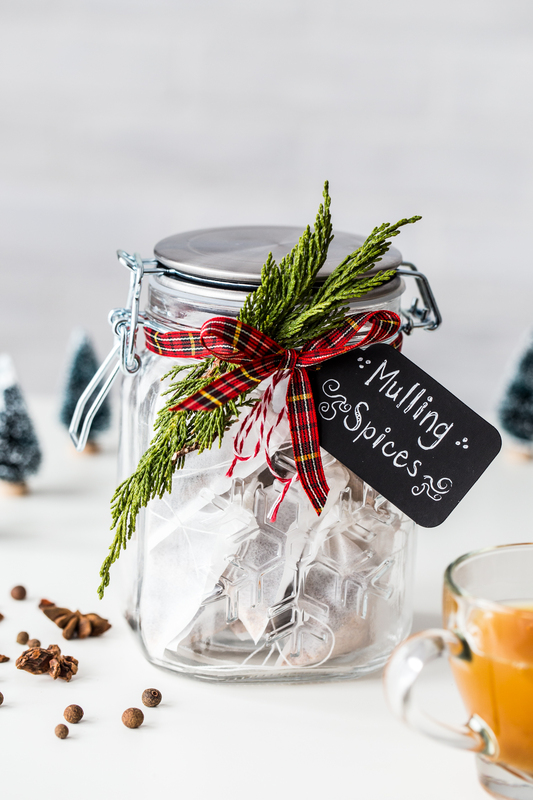 However, I was at a friends house about a month ago and she had this lovely jar of holiday mulling spices she picked up from Williams-Sonoma that she had used to spice up her hot apple cider. It was fabulous! The only problem, was that the spice mixture was processed in a facility that used nuts, so I couldn’t give the cider to C.
After looking at the ingredient list and doing a little research online, I realized that there are a wide variety of spices that can be put into a ‘mulling spice’ recipe. 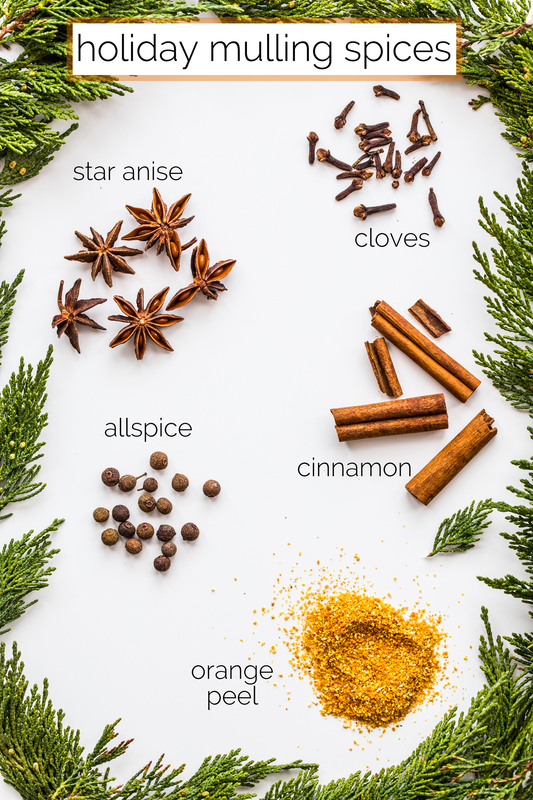 Anything from peppercorns, to cardamom pods, to cinnamon and dried orange peel. 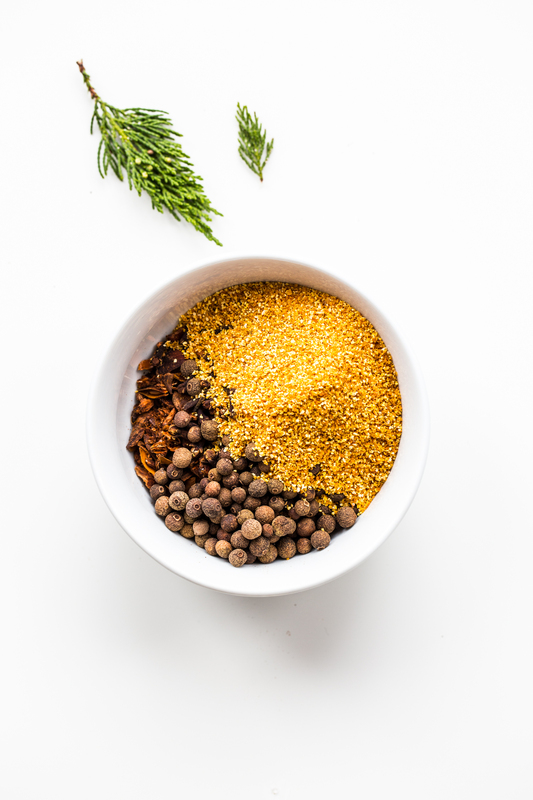 The possibilities are vast and making them in your own kitchen gives you full control over the spices that you like, as well as sourcing spices that are processed without nuts (if that’s a concern of yours, too). To keep things easy breezy when using the spices, I decided to spoon my mixture into these fillable, tea bag sachets that I found on Amazon. They came in a variety of sizes but I picked a small and large version. 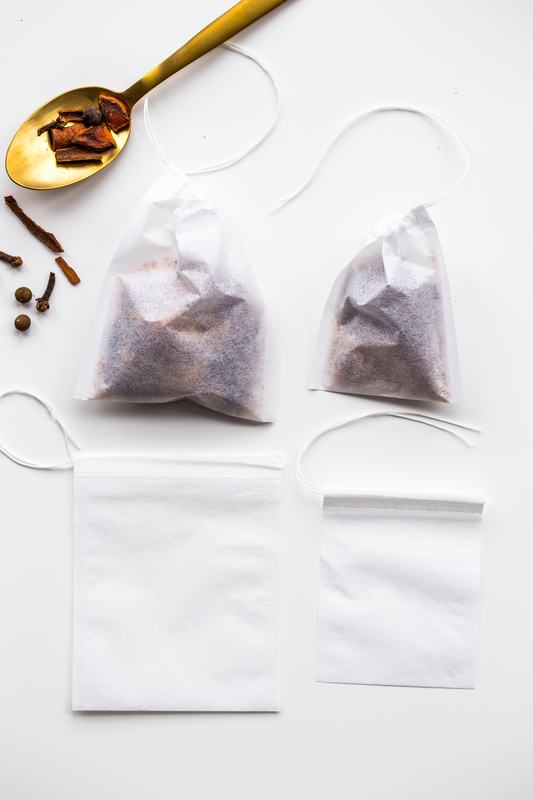 The small bags are great of individual cups of cider and the large are perfect for a pot of cider or of you are making a batch of mulled wine *yum!!*. 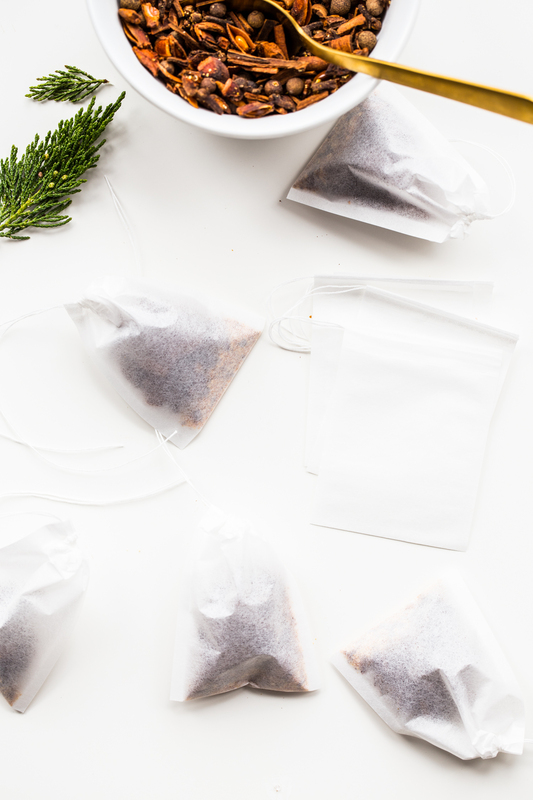 If you only want to pick up one size of the bags, I would go with the small because you can always through a couple of the sachets into a pot if you’d like! 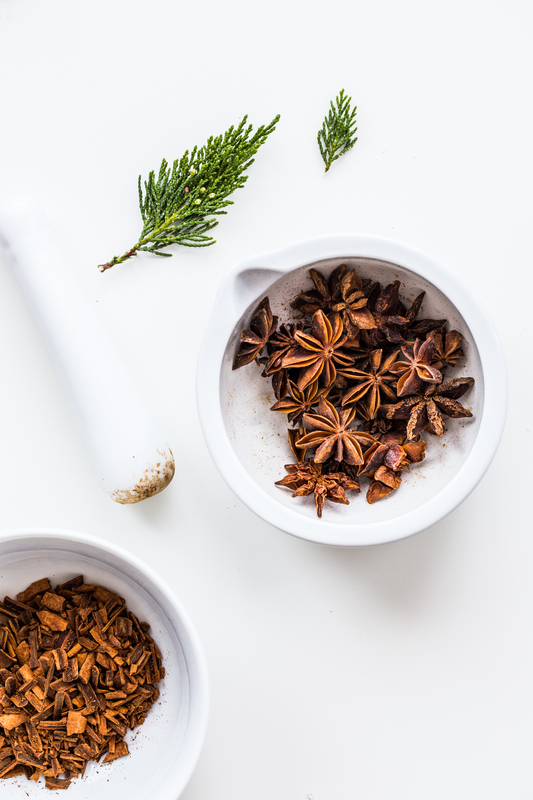 Cinnamon sticks and star anise can be placed in a zip top bag and crushed with a rolling pin of you do not have a mortar and pestle. 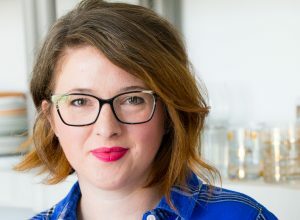 Thanks, Elsie! I hope you enjoy it! Hi Tenley! The jar in this photo is about a quart sized jar so I would go with at least the 12oz option. 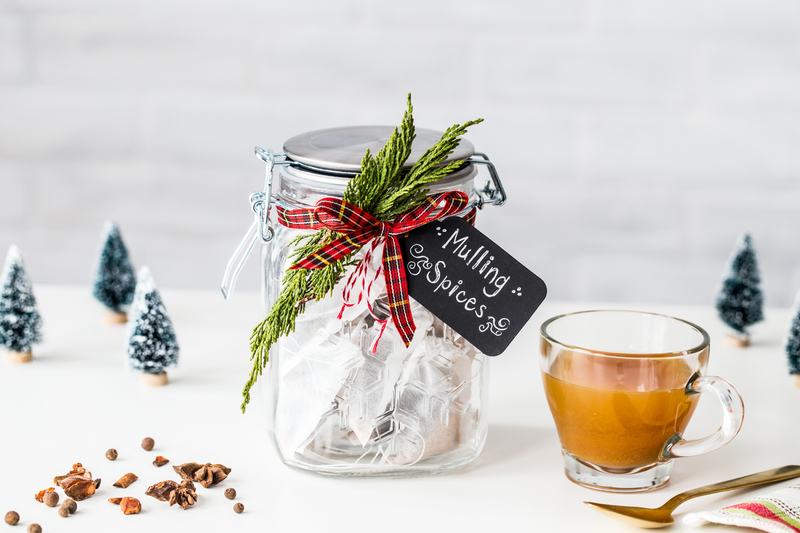 You could also make smaller jars for more gifts, too! 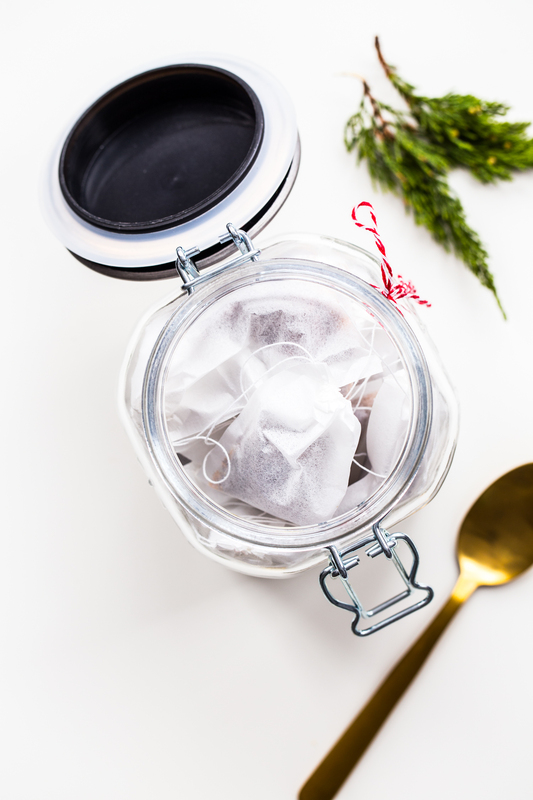 This jar held quite a few sachets 🙂 Thanks for stopping by and Happy Holidays!